Do you want to travel to Alaska? Are you looking forward to enjoying outdoor adventure, or do you want to take in some breathtaking scenery? Do you want to tour Alaska's historic cities and towns, or are you more interested in braving its wilderness? 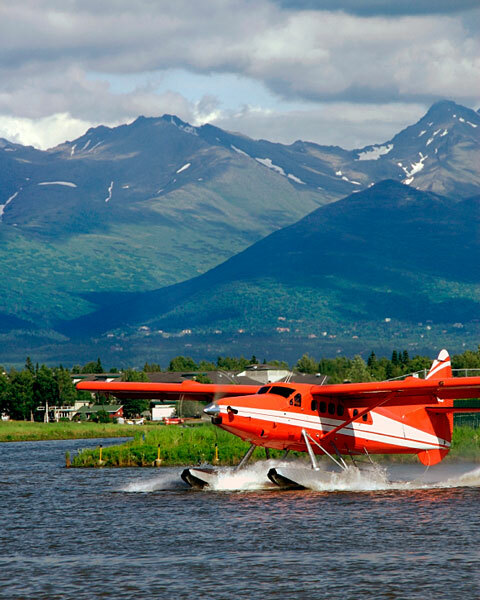 While Alaska is one of the United States' most remote regions, there are many ways to travel throughout Alaska. Many visitors to Alaska choose to arrive there by air. While the Ted Stevens International Airport in Alaska is the state's largest and busiest airport, most major cities and towns in the state are accessible by air. 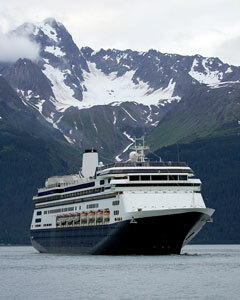 Other ways to enter Alaska include driving by car on the Alaska Highway, or sailing on an Alaska Marine Highway vehicle ferry. Taking the Alaska Marine Highway's three main routes — Southeast, Southcentral, and Southwest — is a great way to see some of Alaska's amazing scenery as you arrive. The longest route, the Southeast, follows the Inside Passage up the west coast of North America from Washington State to Canada, then through Southeast Alaska's islands and channels. Rental cars remain the most popular way of traveling throughout Alaska, but there are several other options that have their benefits. 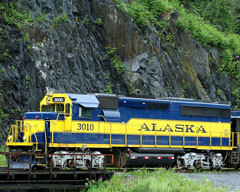 While bus and train travel in Alaska are slower than car travel, they can be a fun way of exploring the state. The Alaska Railroad travels between the cities of Seward and Fairbanks, while the White Pass and Yukon Route Railroad is relaxing, scenic, and geared toward tourists; the routes offer some of the most majestic scenery to be seen in the state. Anchorage, Fairbanks, Juneau, and Ketchikan offer regular public bus service, but several other towns offer limited transportation services and shuttles. An inexpensive way to travel by bus and train is to buy an Alaska Pass, which allows unlimited train, bus, and ferry travel for a certain period of time on the Alaska Railroad, Alaska Marine Highway, White Pass and Yukon Route Railroad, and Gray Line buses. 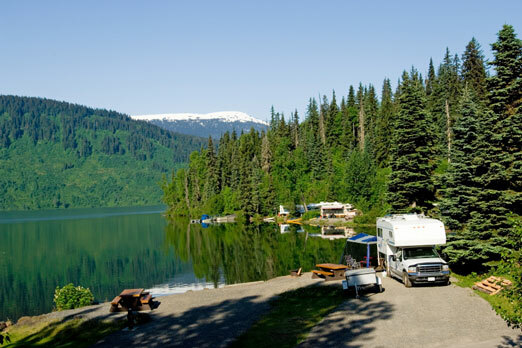 For those who are going to remote areas where train and bus travel is limited, traveling by car and RV allows more freedom than other types of transportation. Many of the state's most scenic routes, including the Denali Highway, the Elliott Highway, the Steese Highway, and Southeast Alaska's back roads, are accessible only by car.